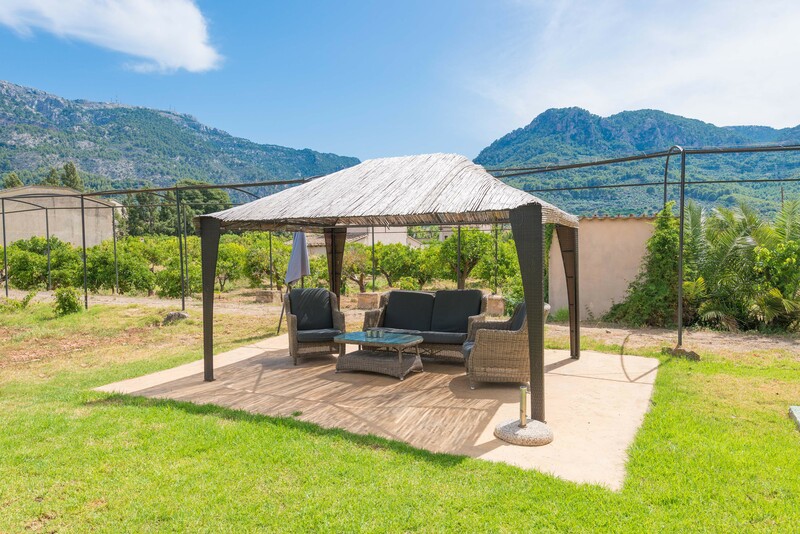 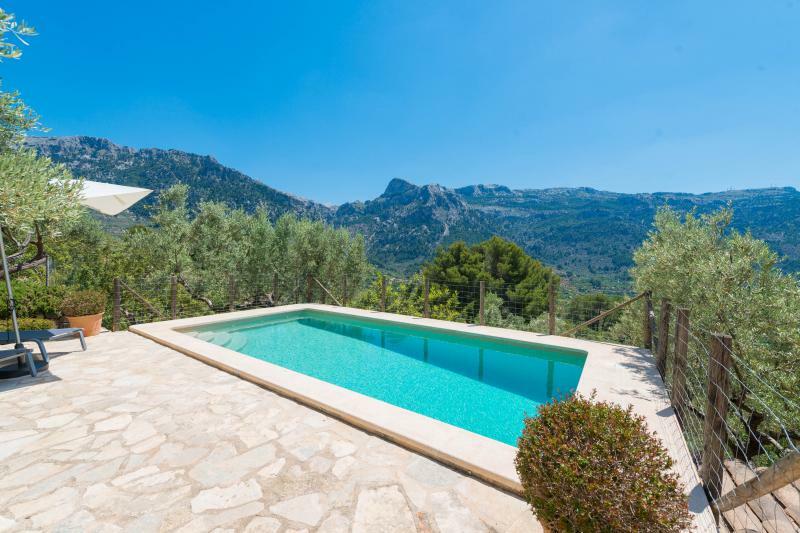 This authentic natural stoned finca located in Soller, in Sierra de Tramuntana, offers a private pool, garden, and wonderful mountain views. 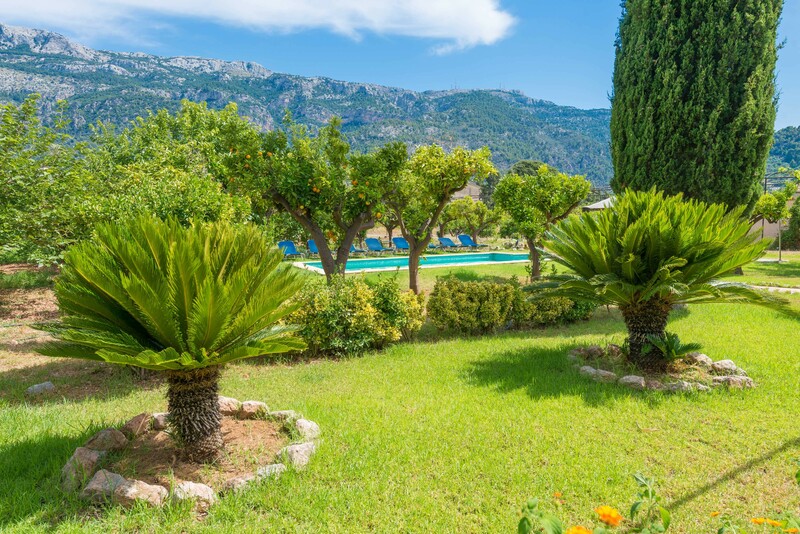 It invites 8 guests to spend a quiet vacation in Western Majorca. 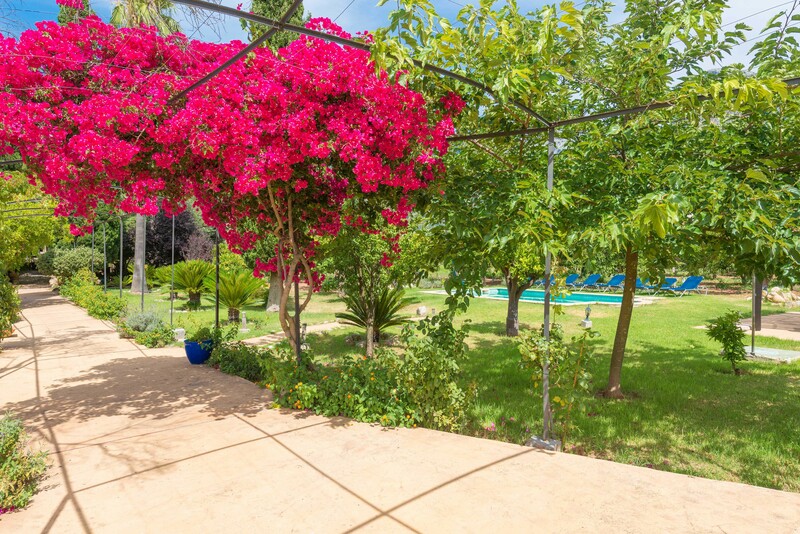 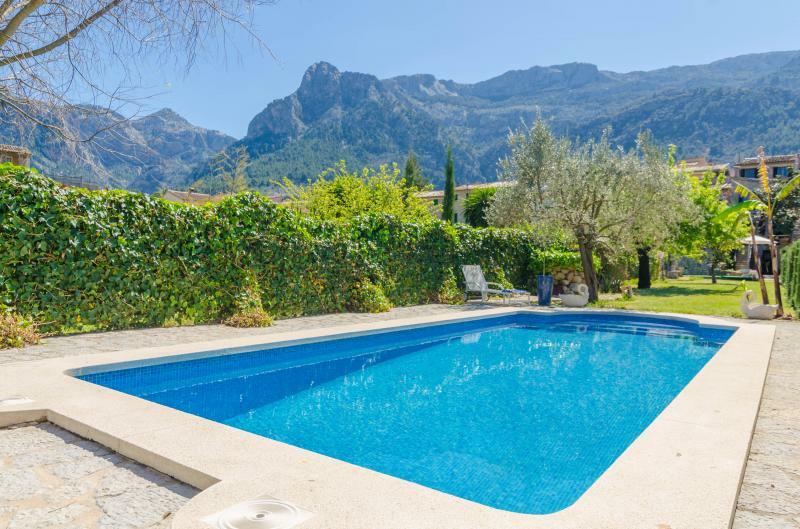 The protagonist of this impressive finca is, without doubt, the private salt pool with a 8 x 4 metres size and a 1.4 to 1.8 metres depth. 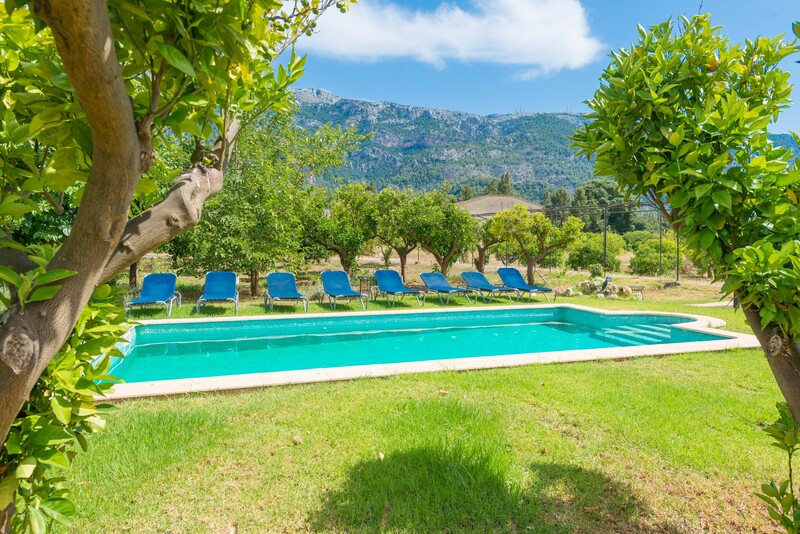 You can lie on one of the 8 sunbeds by the pool or spread your towel on the ample garden - always accompanied by the wonderful views of Sierra de Tramuntana!! 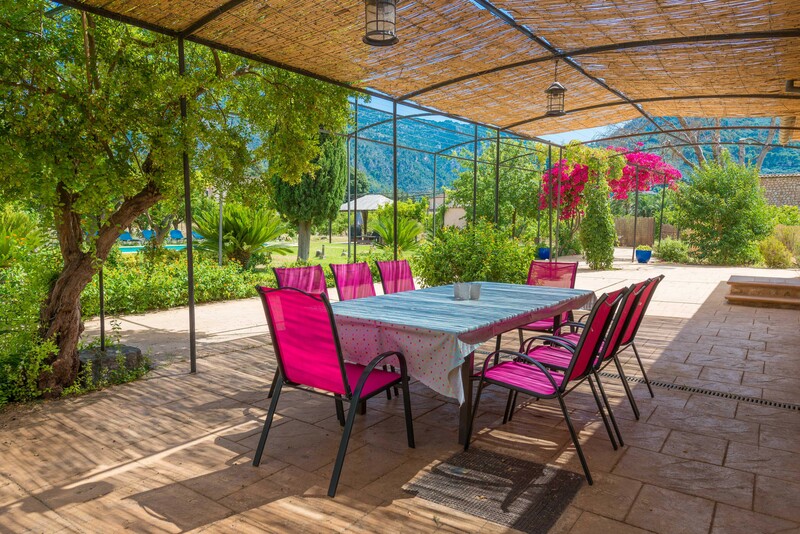 You will find another beautiful corner with a sofa and armchairs to have a glass of wine in the evening at the beautiful palm trees and other Mediterranean plants garden.The shadowed and ample terrace is a fresh place to prepare a barbecue or have a snack with your friends. 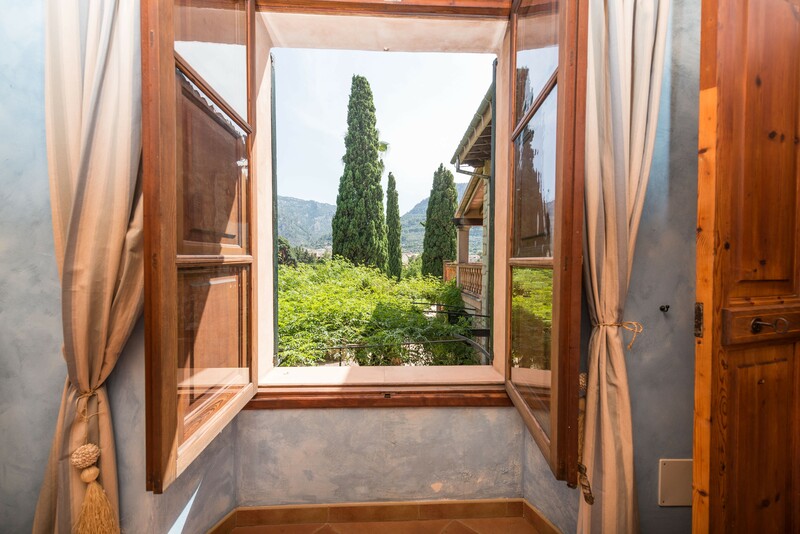 If you are looking for a more intimate place you can sit at the first floor bedroom terrace to read or admire the mountain views. 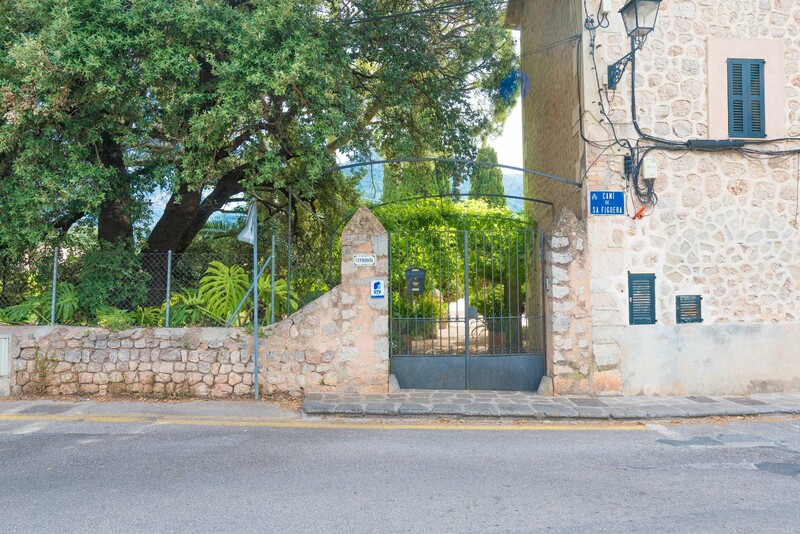 The property is fenced and since its is located within the village, there are neighbours around. 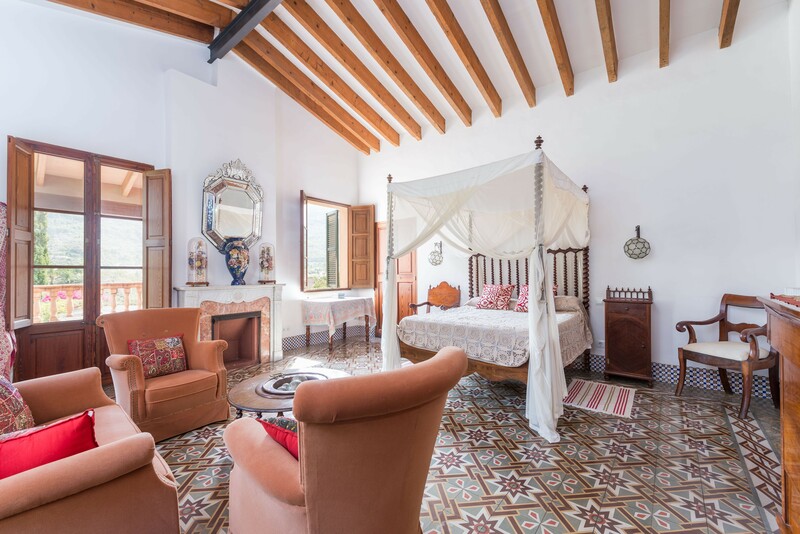 Inside, the accommodation presents a comfortable and stately style, with lots of details which show the owner's love for the house. 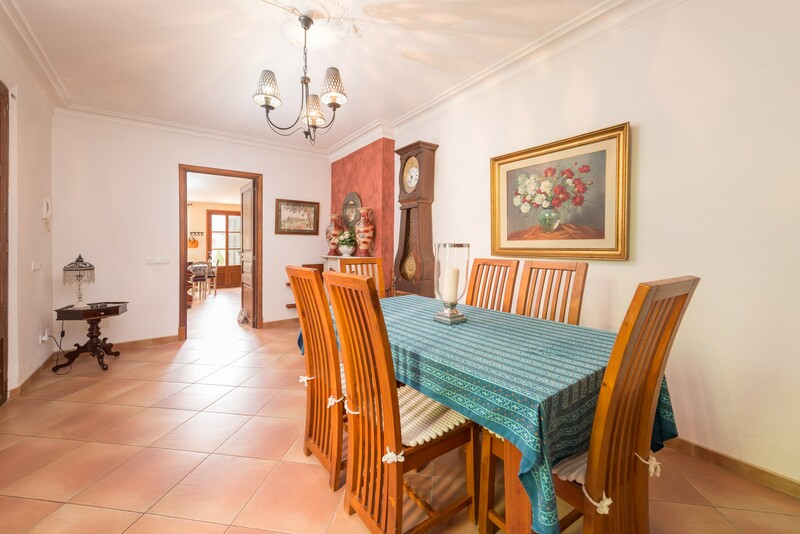 Rooms are spread along 3 floors and 270 m2. 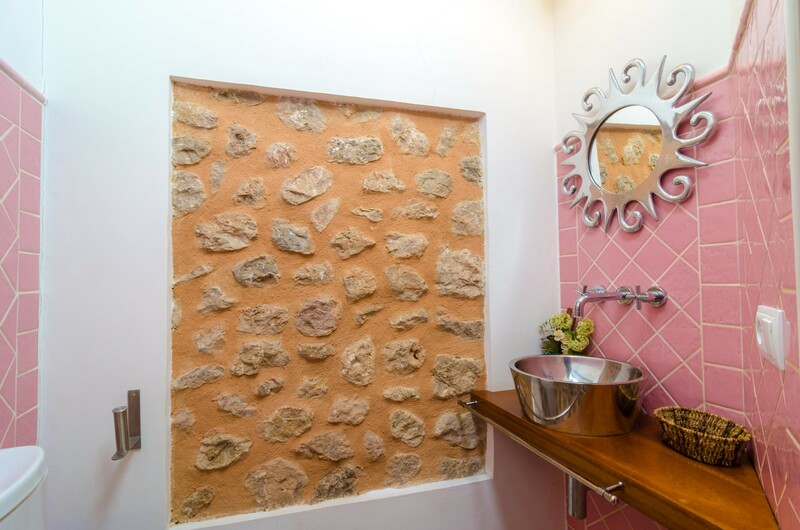 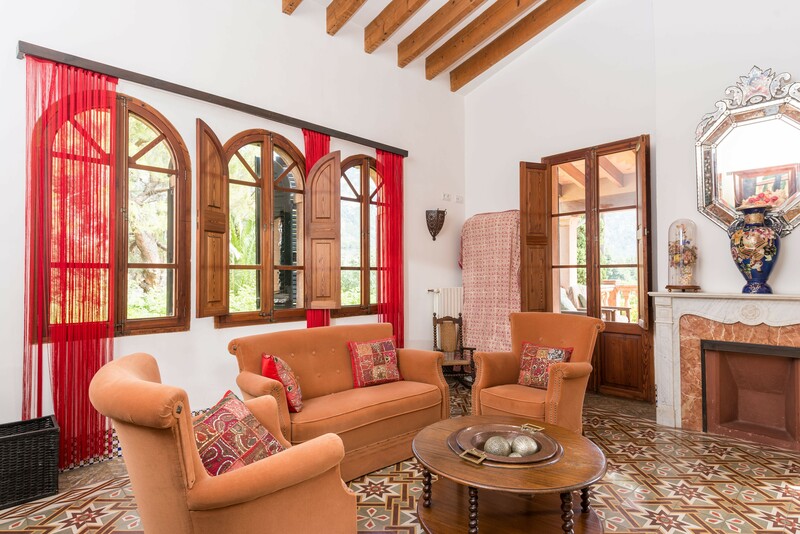 The great stoned walls living room invites to spend a relaxed evening watching TV or taking a little "siesta". 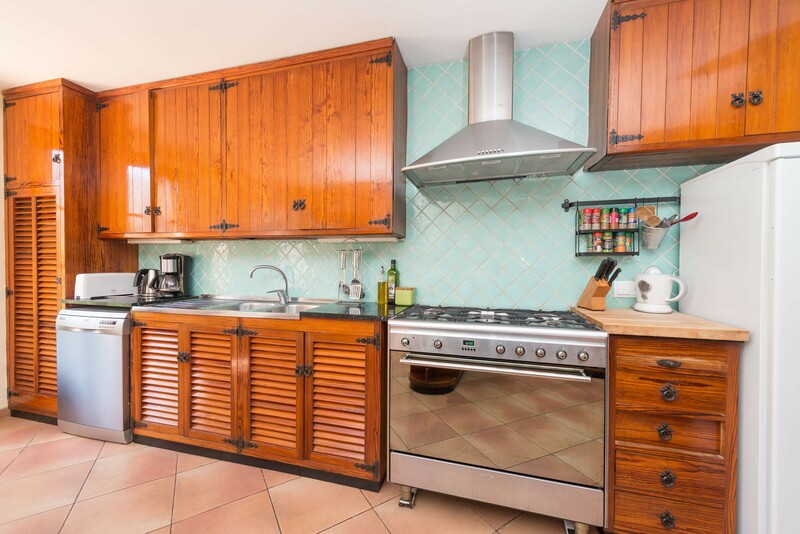 The kitchen is a dream for all chefs, ample and well equipped, including a gas hob, an electric oven, kitchen utensils and a coffee machine. 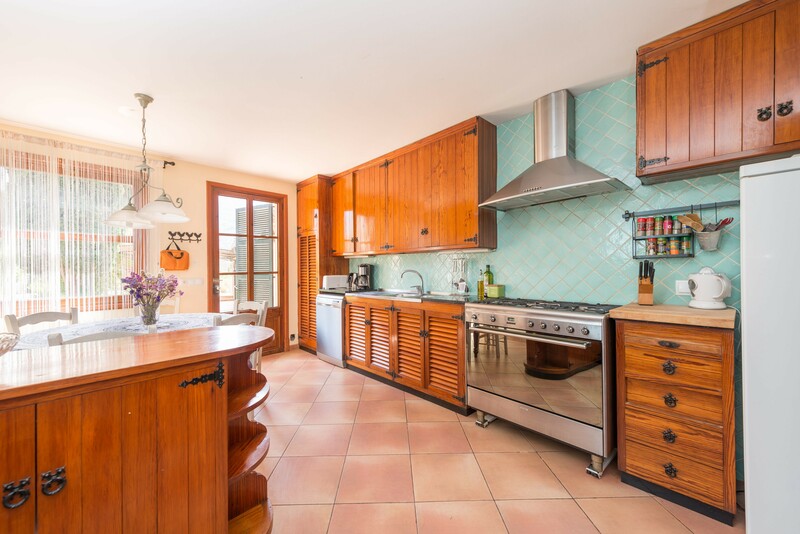 There are also a dishwasher, a high chair and a table with for chairs. 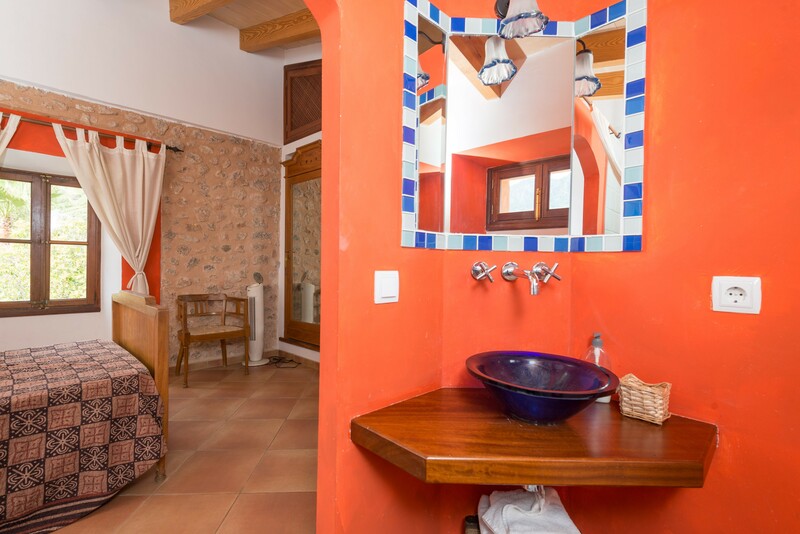 The laundry is independent and it offers a washing machine, a tumble dryer, an iron and an ironing board. 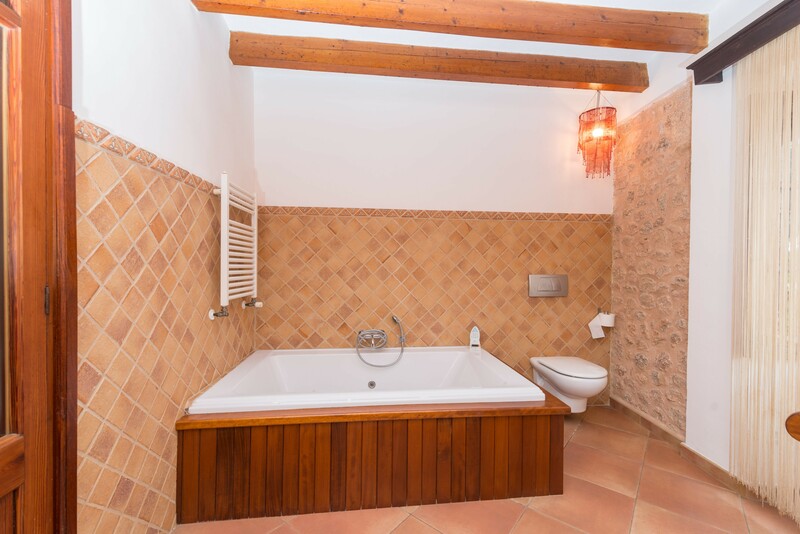 The first floor presents two double bed bedrooms with a fan, a wardrobe and an en-suite bathroom with a tub or a hydro-massage bathtub. 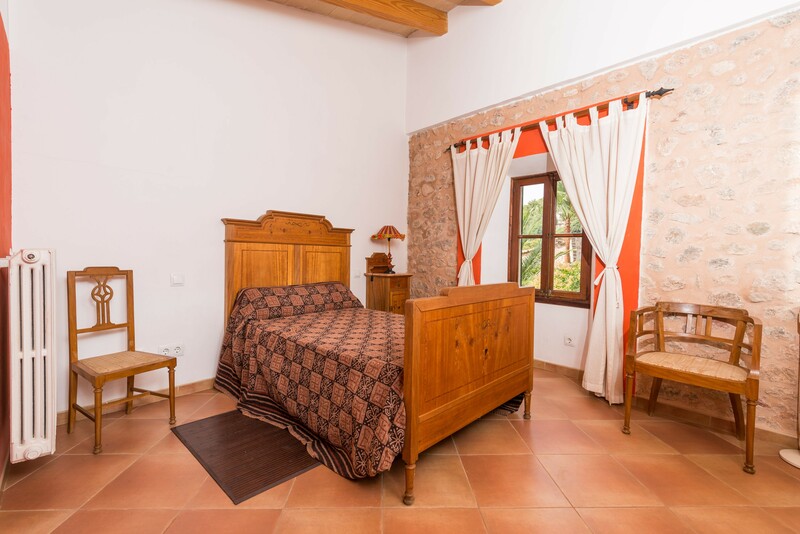 The first one has room enough for a cot and access to a furnished terrace. 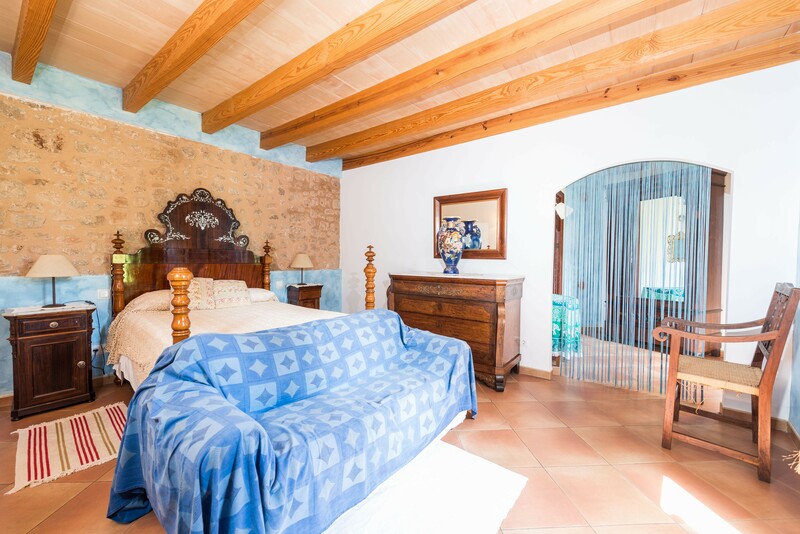 The other bedrooms are on the second floor. 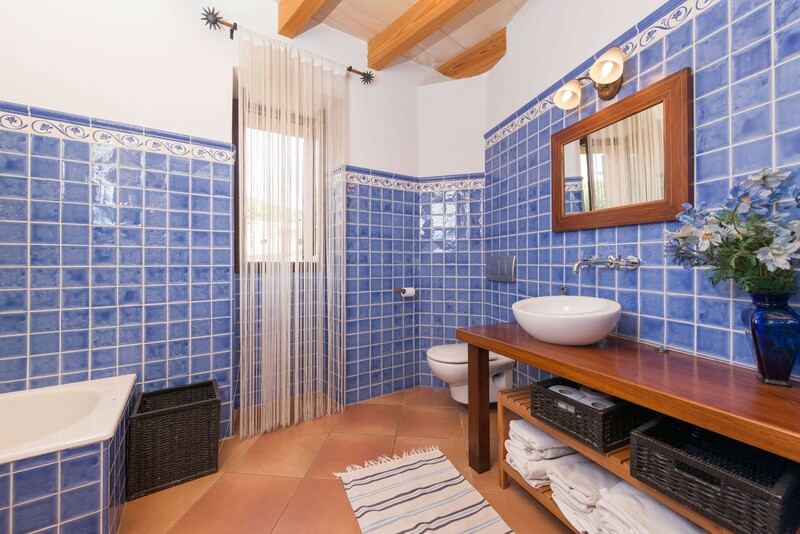 They feature a double bed, a fan, a wardrobe and an en-suite bathroom with a tub or a shower. 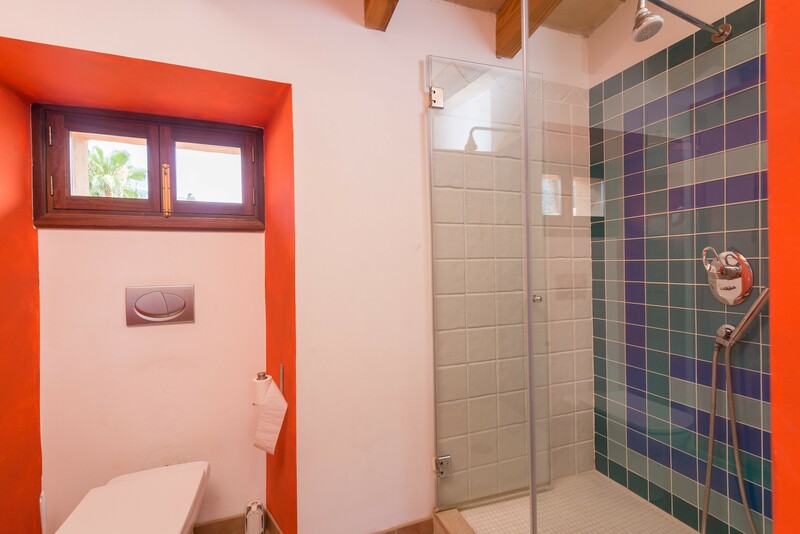 Besides, there's a toilet on the ground floor. 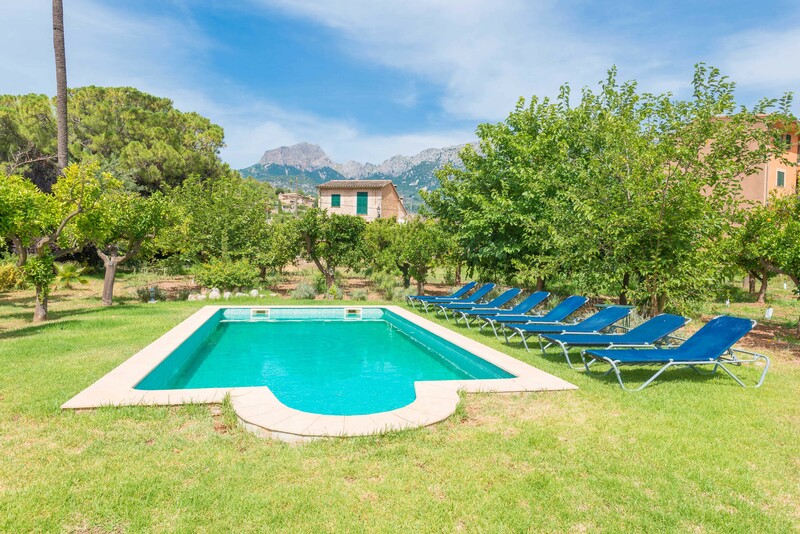 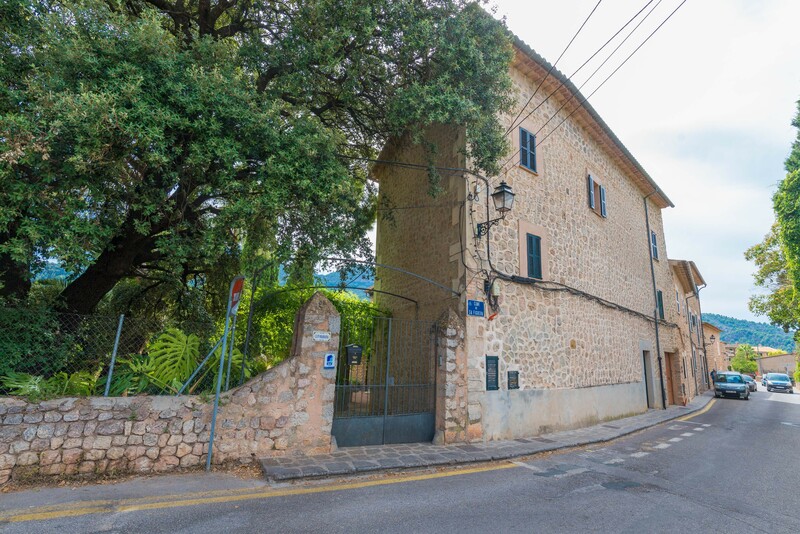 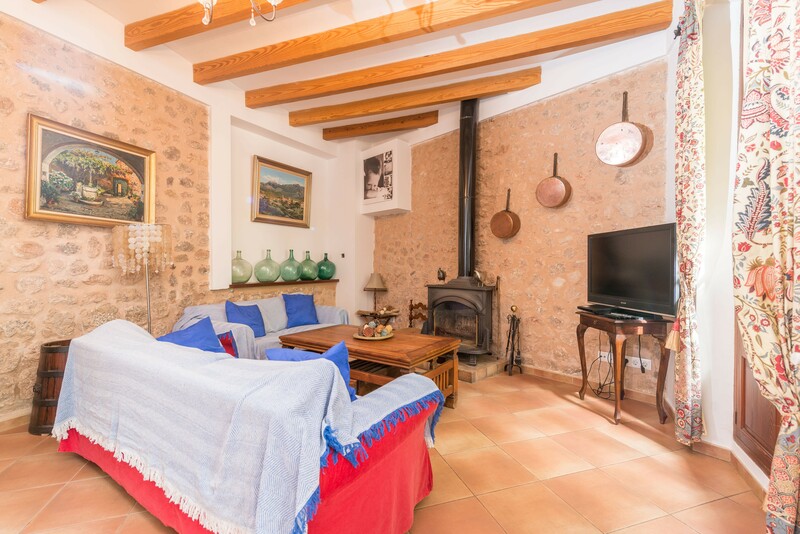 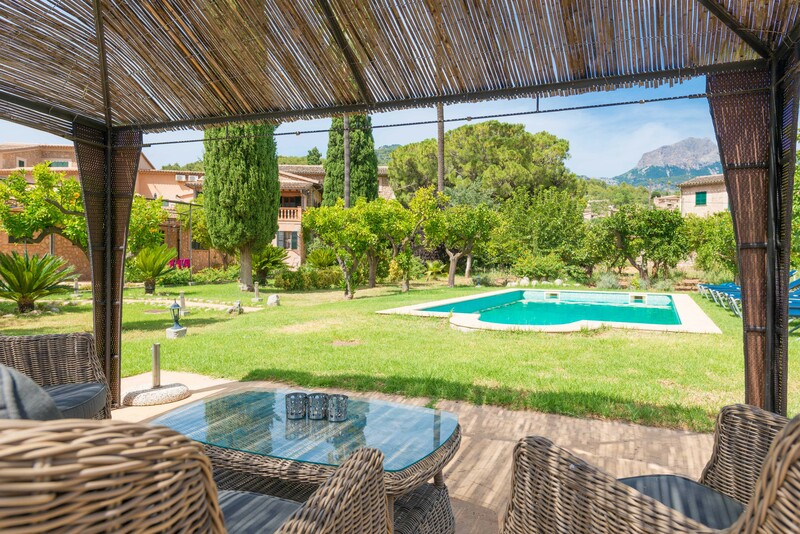 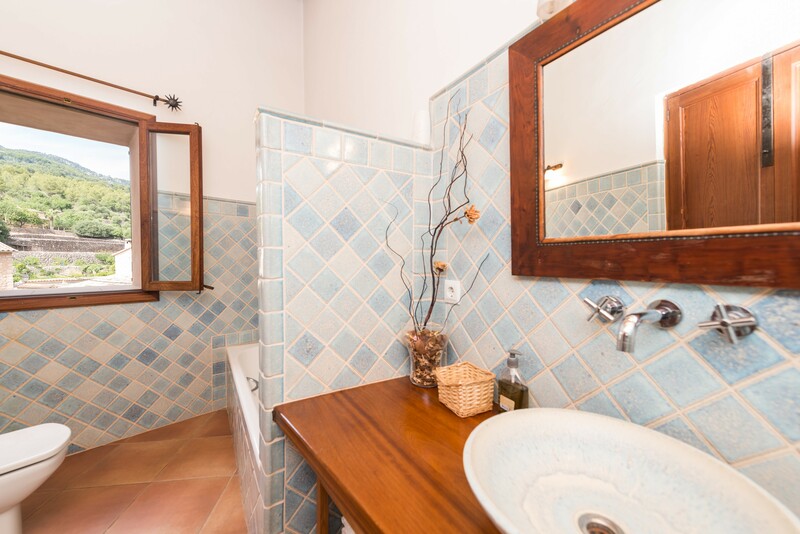 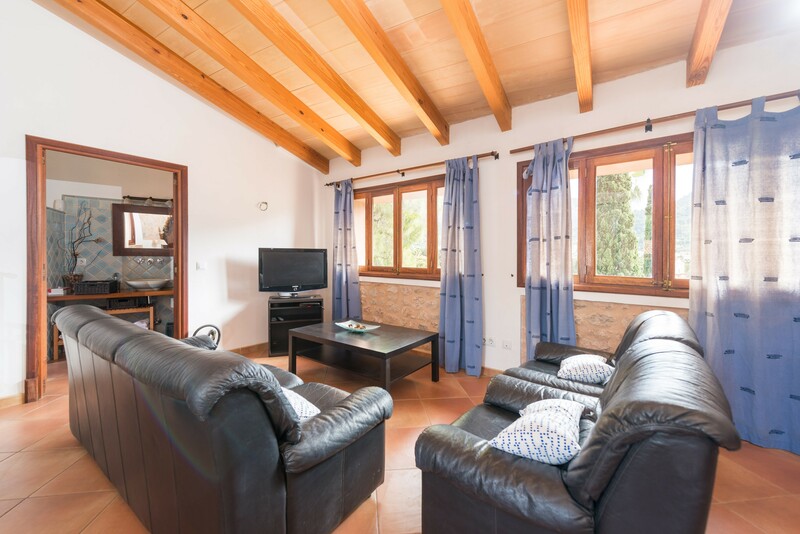 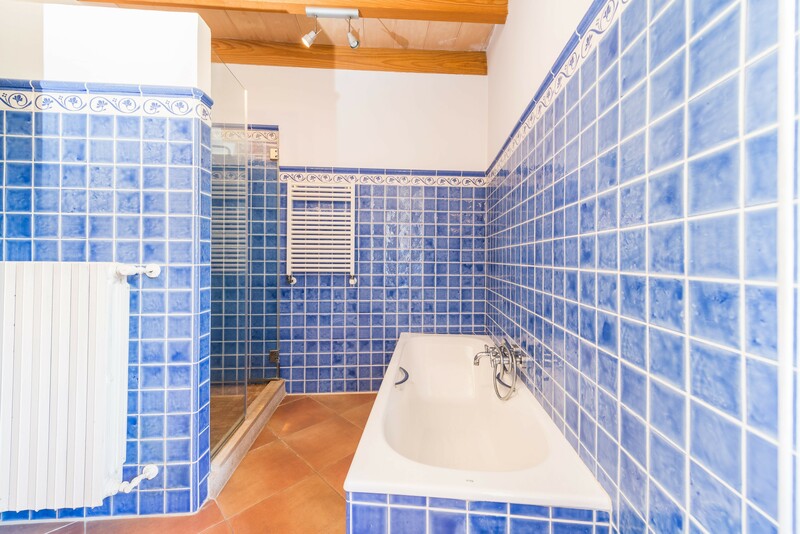 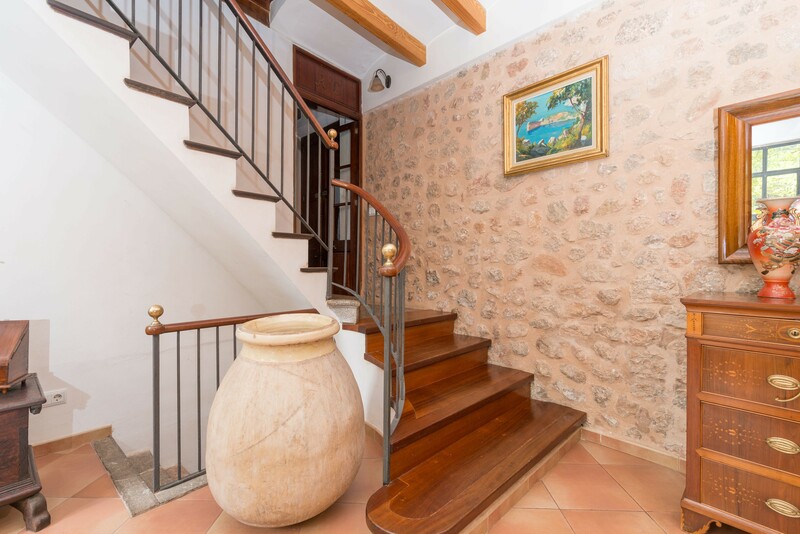 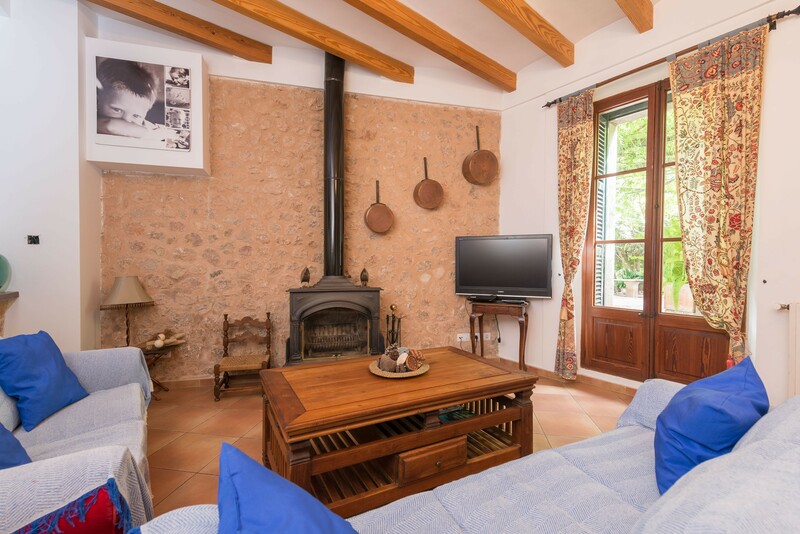 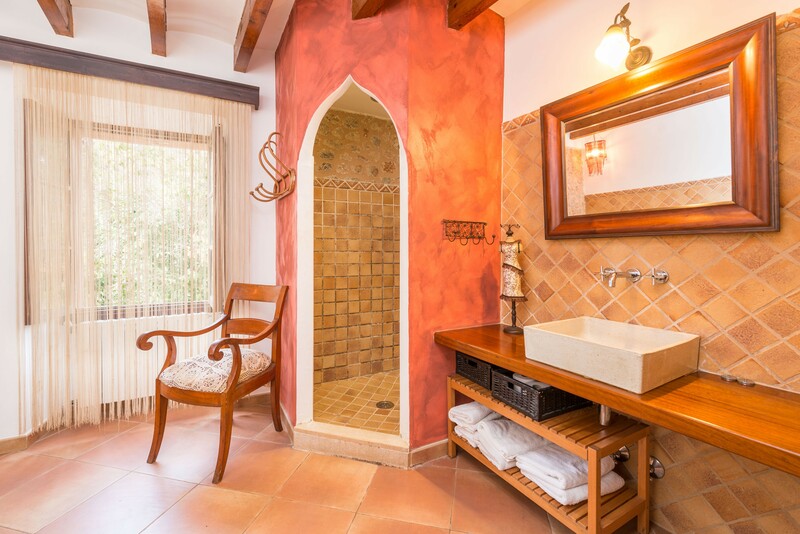 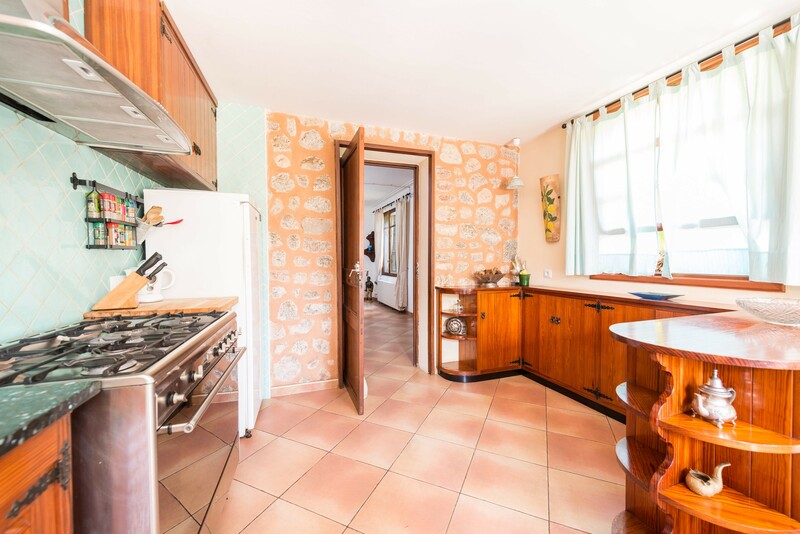 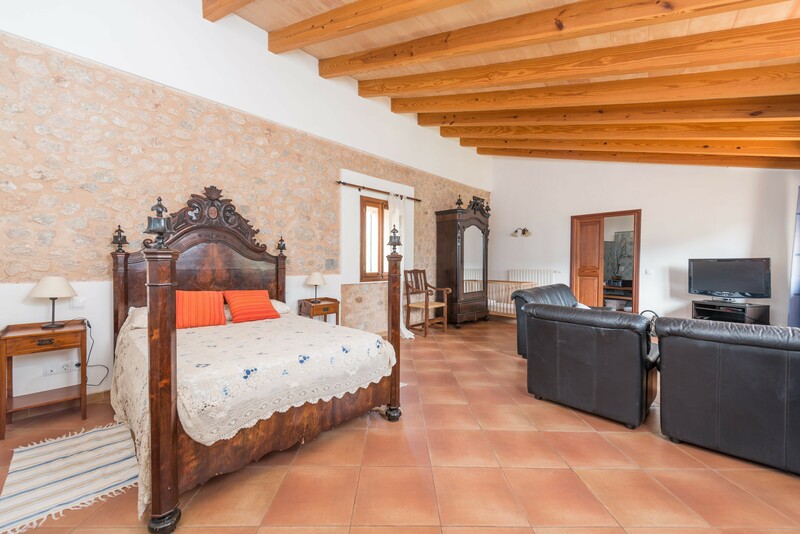 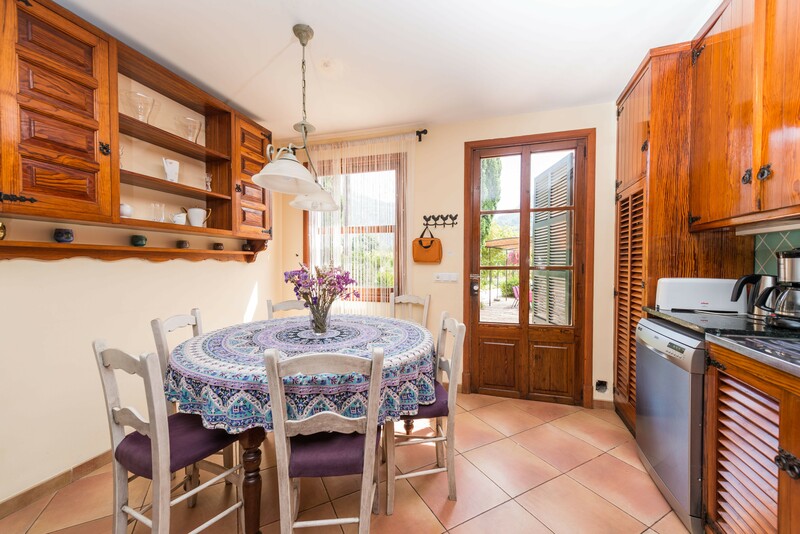 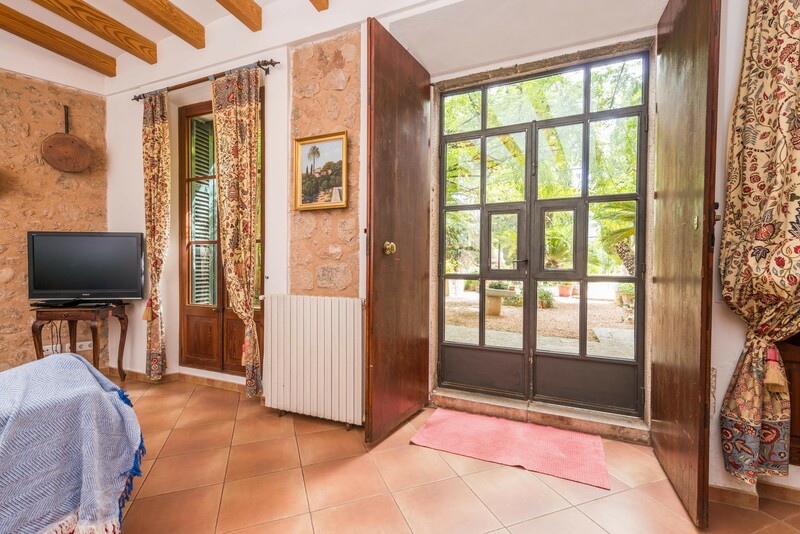 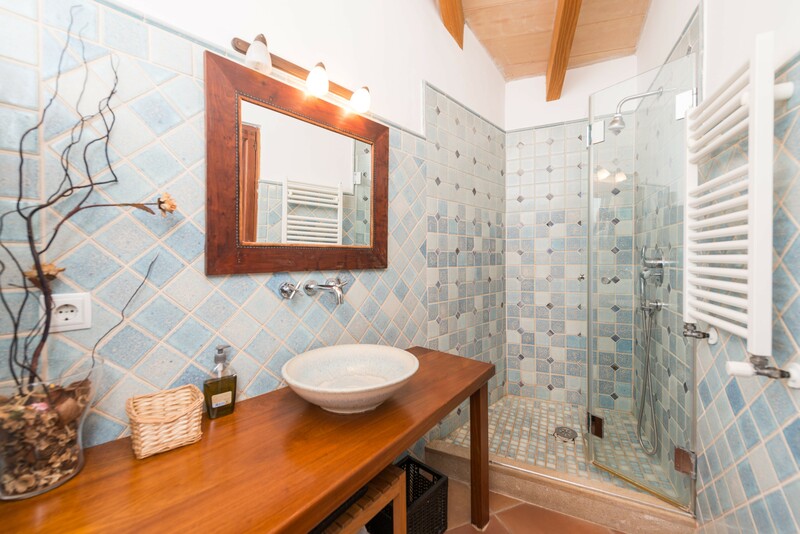 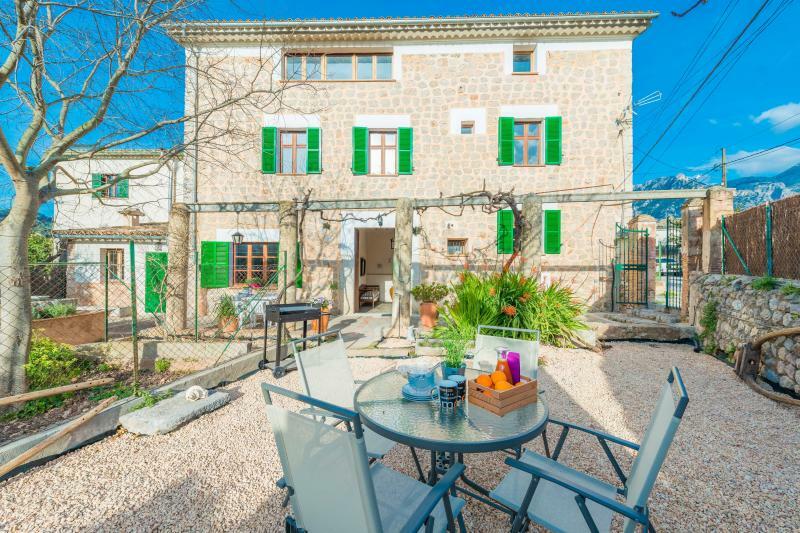 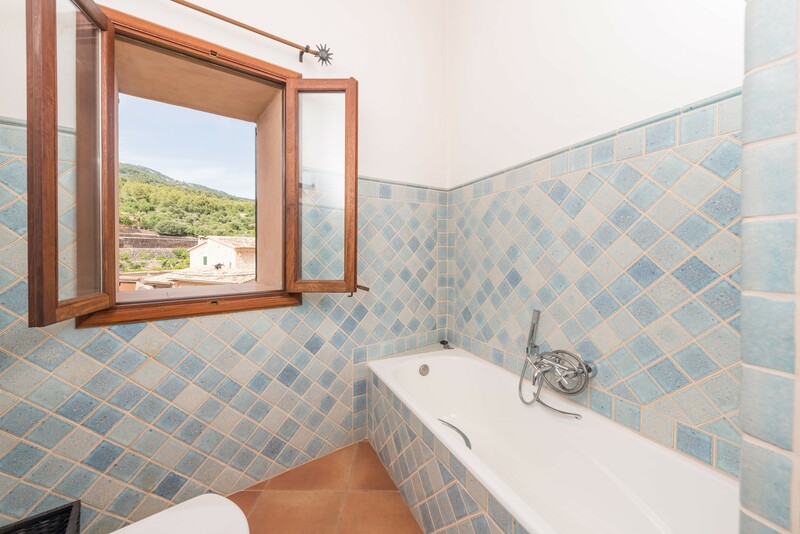 This finca can be found in Soller, in the middle of Sierra de Tramuntana. 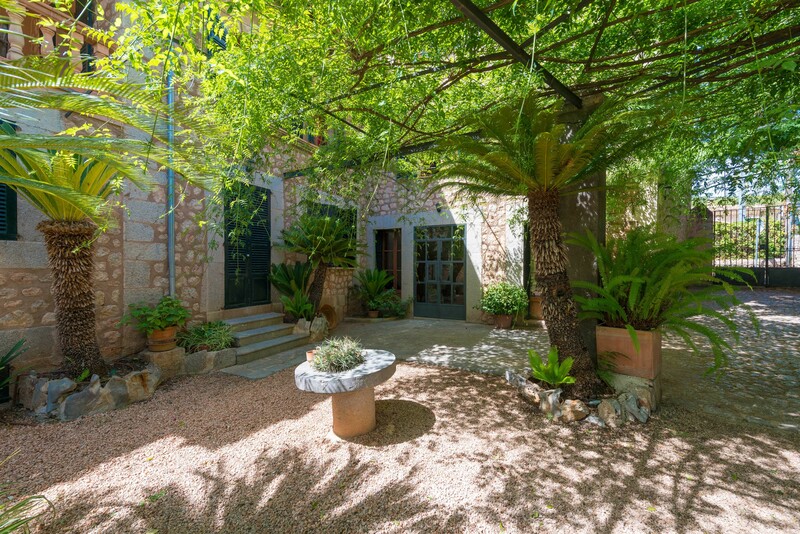 It is an authentic village known for its beautiful church and the old train which connects with Palma. 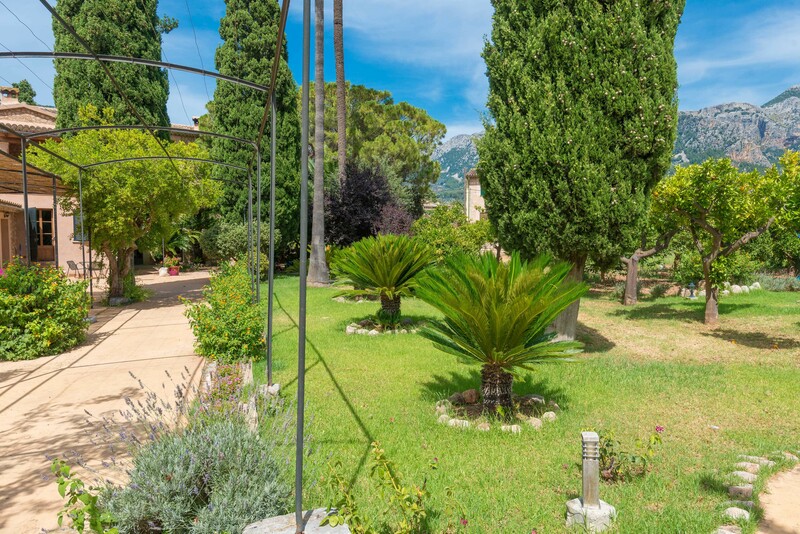 You can enjoy authentic Majorcan food, a natural orange juice or a good ice-cream at the church square. 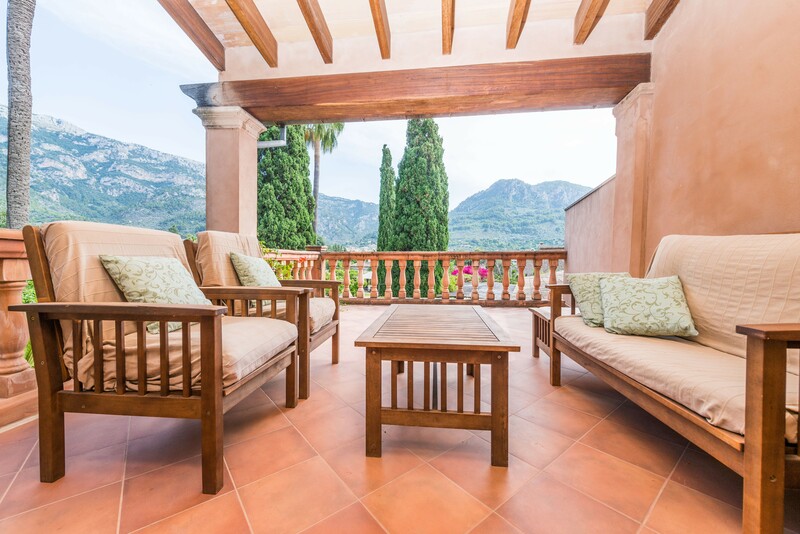 The sandy beach in Port de Soller is only 4 km away and it is a place with lots of restaurants, shops and a beautiful promenade. 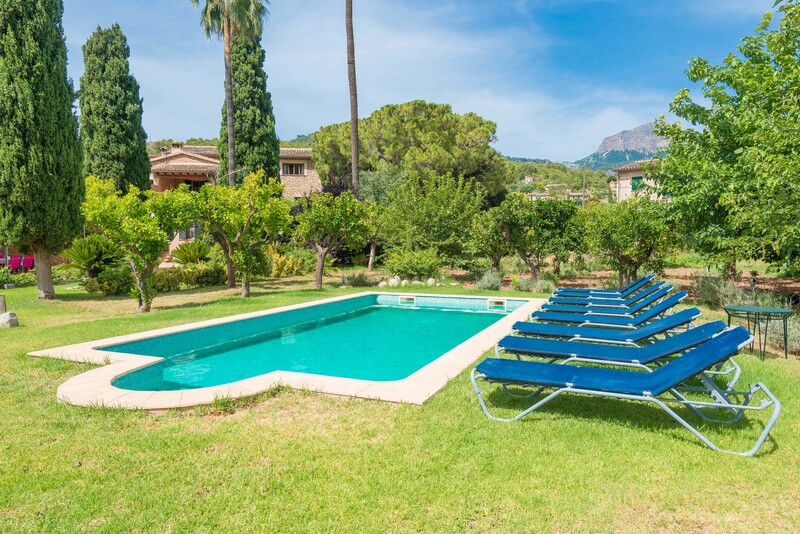 The pool has no lighting.